Who Else Hates Fine Print? Have you ever been told that? It's a line used by businesses that don't love their customers. 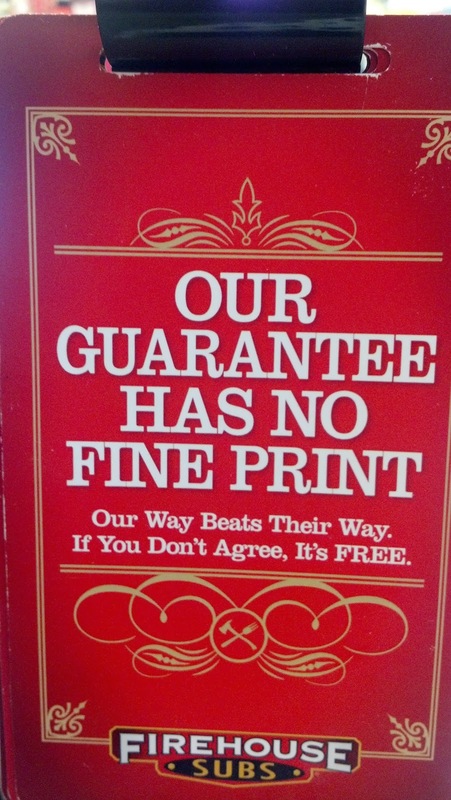 Everyone hates fine print. Your customers hate it. And you hate it—when the tables are turned and YOU are the customer. So get rid of it! Consider reviewing your policies, contracts, procedures, hand books, terms of service, conditions of sale, etc. at least once every year and put yourself in your customers' shoes. Is there is anything that would irritate you if YOU were on the other side of the table? If so, weed it out. Is all that legal jargon really necessary? And (big question) would you actually enforce it? If not, toss it. The key to earning and retaining customers is making their experience enjoyable and hassle-free. I got a coupon in the mail recently from a retail store offering 20% off. But the fine print pretty much excluded everything in the store. What's the point? Why bait people with a misleading headline? Sure, you might hook a few fish. But fish don't like to be hooked. And neither do people. Airlines are notorious for their fine print. You work hard to build up frequent flyer miles, but when you're finally ready to cash them in what happens... black out dates! You should have read the fine print. The used car salesman promises you the world, but when your car breaks down, the service department says the warranty doesn't cover it. You should have read the fine print. The opportunity here is for you to remove your fine print and set yourself apart from the competition. If your competitor is notorious for their long list of restrictions, then you should turn their weakness into your biggest strength. Example: Airline A charges a $25 baggage fee for the first bag, $30 for the second bag (as long as the bag is under 45 pounds. Anything over 45 pounds constitutes a $20 surcharge and a dirty look). Oh... and there will also be a $5 convenience fee. Why? Because we can. Now, Airline B has an opportunity. They could advertise no hidden fees and—as long as they stand behind their promise—they come out looking like a hero. And if you're going to offer a money back guarantee... then do it. And don't attach three pages of stipulations and asterisks. I also got a free movie ticket recently. But when I got to the box office window they said, "Sorry, you can't use this for new releases". So I picked an older movie. Then they said, "Sorry, you can't use this on weekends." I guess I should have read the fine print typed in 3 point font, upside down on the back of the coupon. I like the slogan of Outback Steakhouse... No Rules, Just right. Too bad more businesses don't follow their lead. But then again... no one every goes to Outback Steakhouse because it's always too crowded. So when it comes to setting and enforcing your rules, consider acting more like Mayberry's Sheriff Andy Taylor and less like the Gestapo. I appreciate it when businesses make things simple with no strings attached. Don't you? 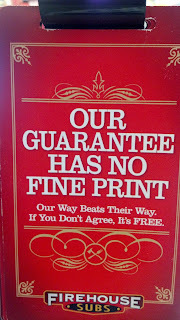 When is the last time you reviewed your fine print? Do it today. And make sure you are looking at it from the customers' perspective. And you might want to review the Golden Rule while you're at it.